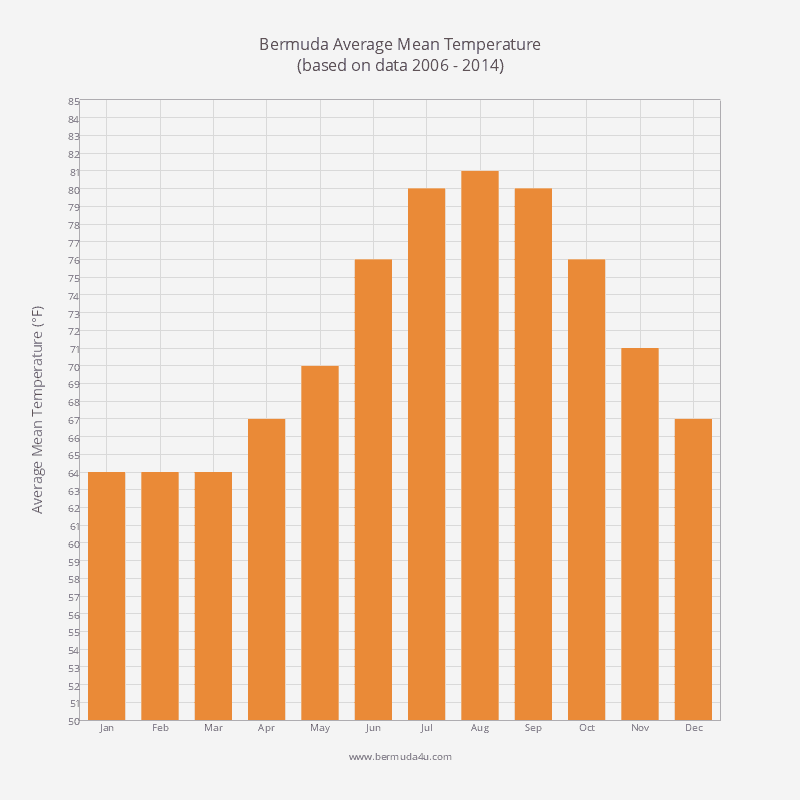 Although high season in Bermuda officially begins in April, the true summer begins in May. 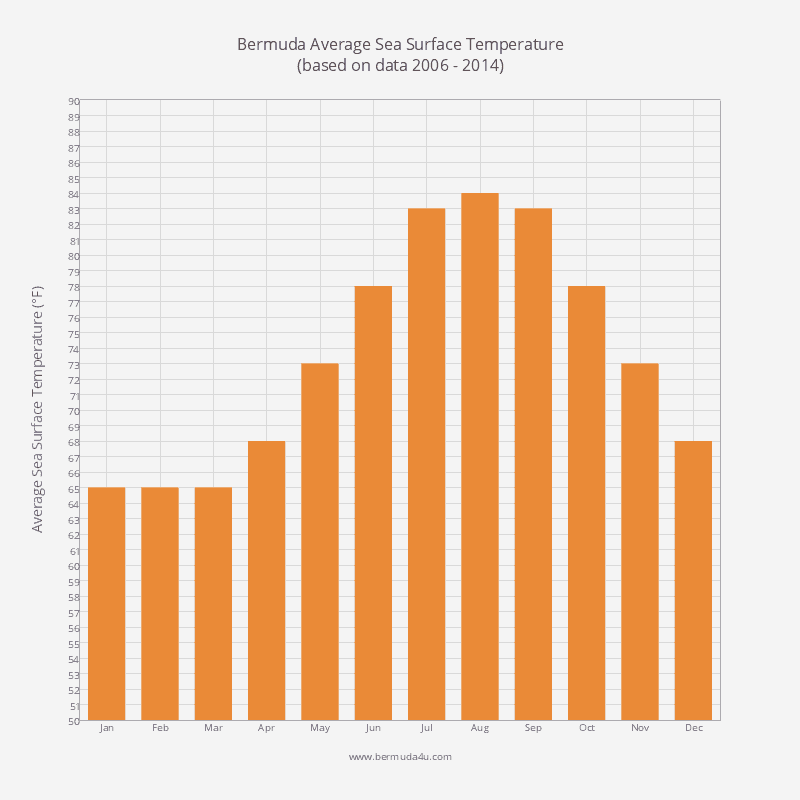 The weather improves significantly and the average sea surface temperature jumps to 73 F (from 68 F in April). Air temperature rises too. The average daily high is now 74 F and daily low just 67 F. It’s more humid but rainfall is around average. 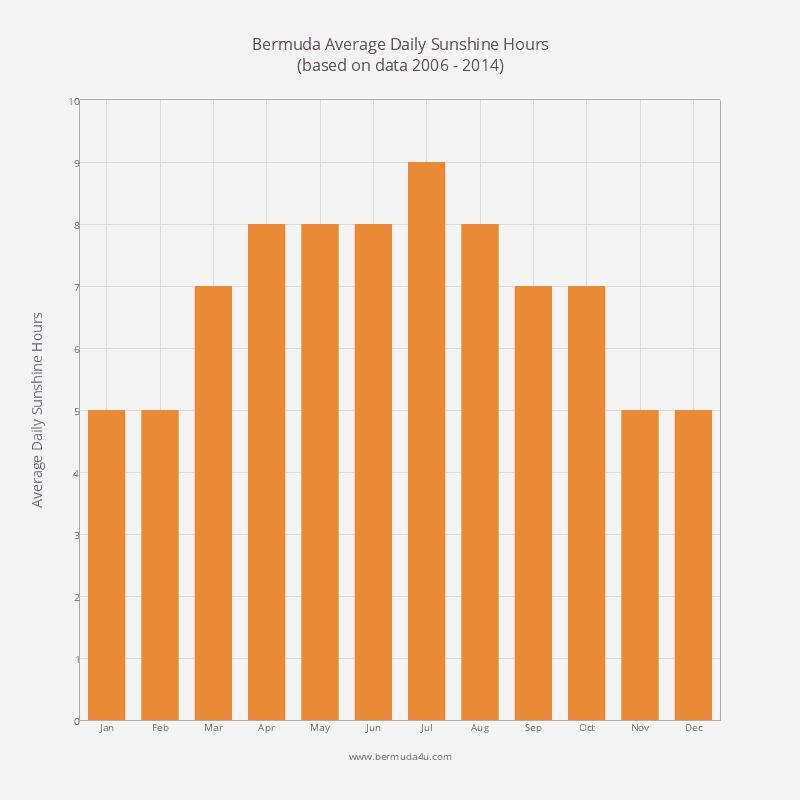 Visitors can expect around eight hours of sunshine every day, above the annual average. Sunrise is around 6.20 am and sunset at approximately 8.10 pm. All of the contracted cruise ships are now visiting the island and Dockyard is busy. Hotels are charging peak rates and airfares are high. Major tourist events such as Harbour Nights are underway. 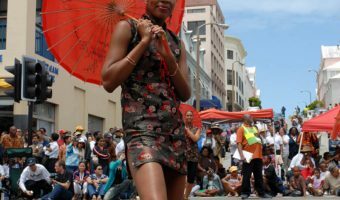 Bermuda Day, a public holiday towards the end of the month, is the day when most islanders take their first dip in the ocean. There’s a big parade through the centre of Hamilton, dinghy racing in St George, a half-marathon, and a bike race. It’s the only public holiday in the month. May is a good time for deep-sea fishing. There’s plenty of wahoo and yellowfin tuna in the water. Lifeguards are now stationed at several public beaches (Clearwater Beach, Turtle Bay, John Smith’s Bay, and Horseshoe Bay). The seasonal ferry service from Dockyard to St George (Orange Route) is running. 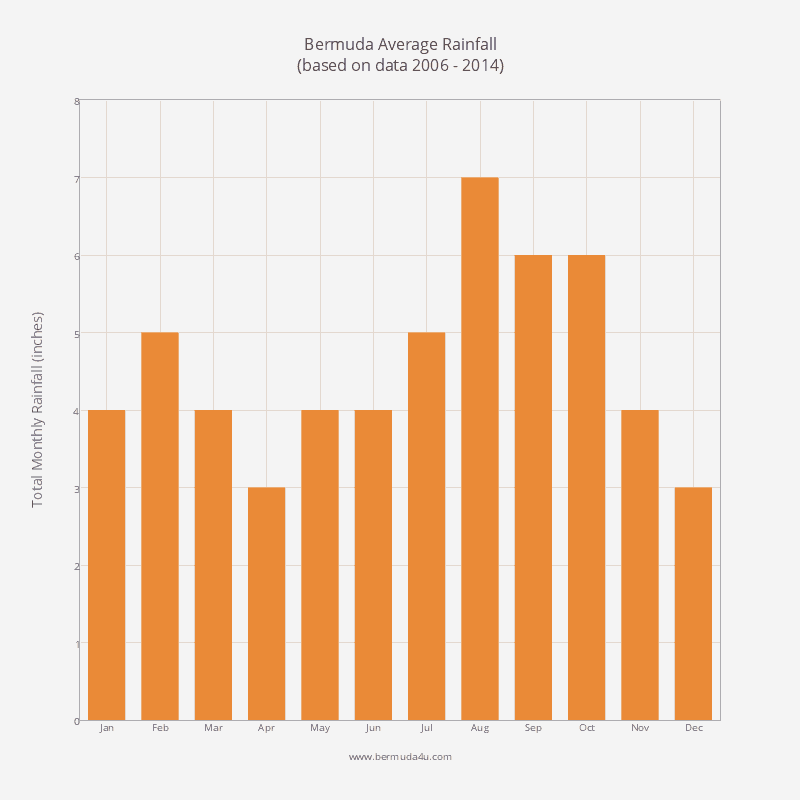 May does not fall within Bermuda’s hurricane season. 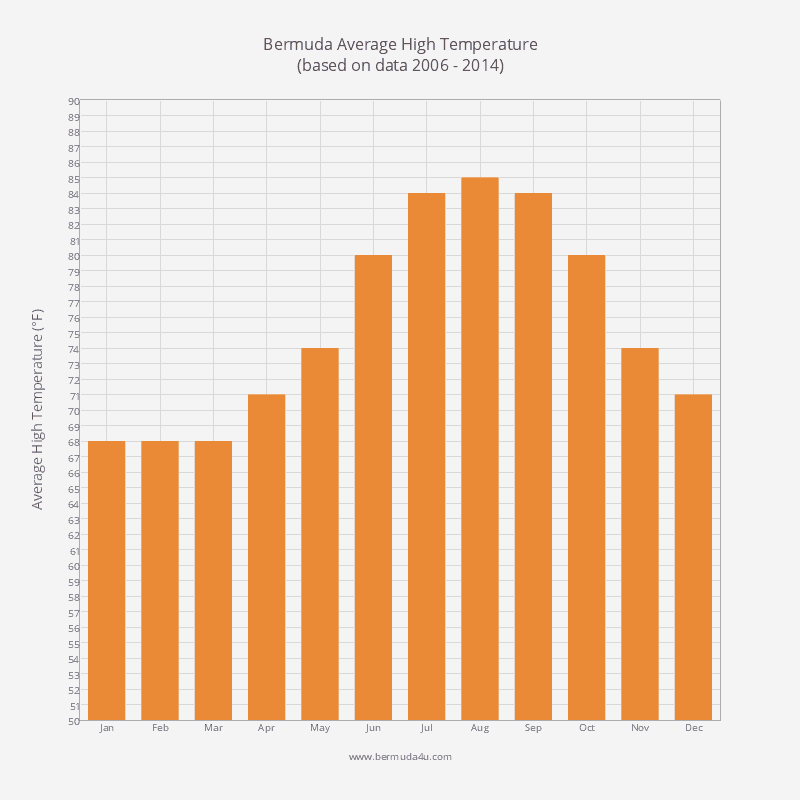 The average daily high increases by about 3 F in May. 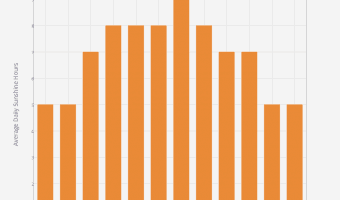 There’s usually a significant rise in temperature towards the end of the month. The lowest temperature on a typical day in May will be 67 F.
Mean temperature in May has been 70 F in recent years. 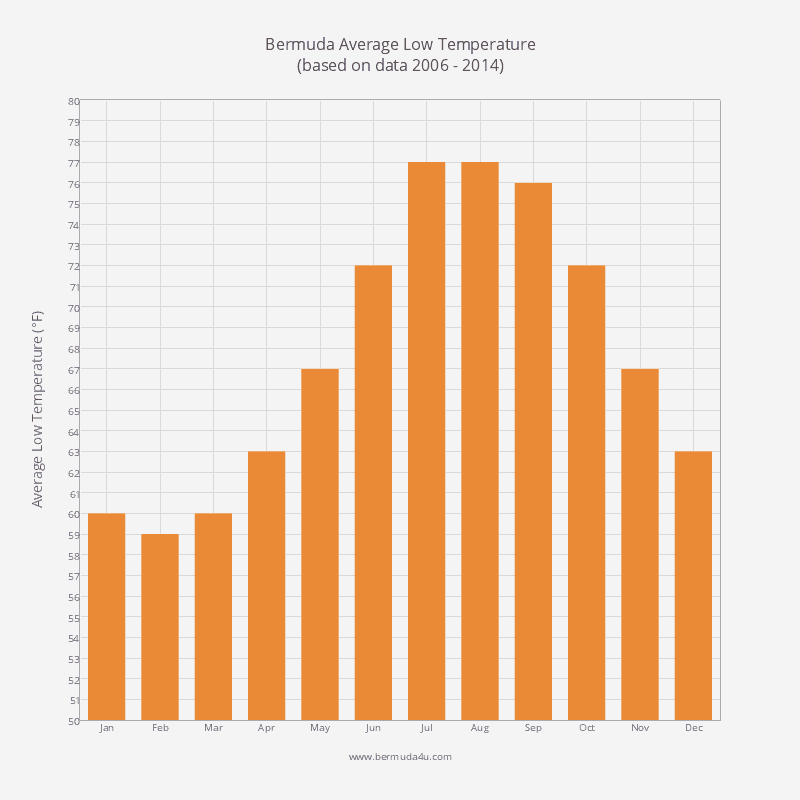 Sea temperature also rises significantly in May and locals take to the water. 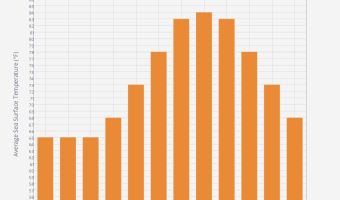 In recent years rainfall in the month has been four inches; just below the annual average. On a typical day in May the island will see eight hours of sun. 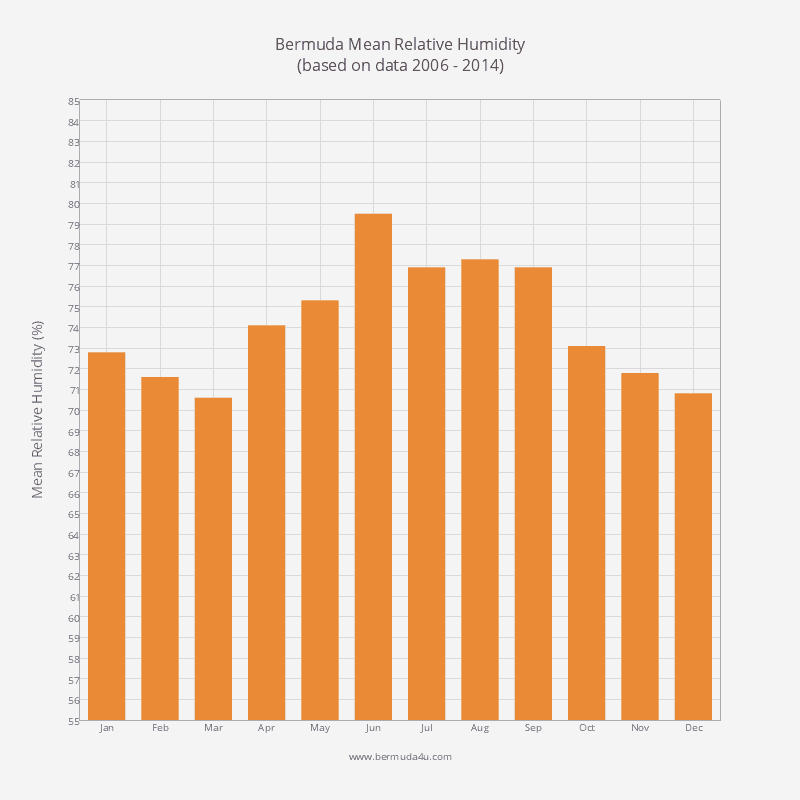 Mean relative humidity for the month is above average at 75.3 percent. Find out what the weather could be like in April. Includes detailed historical data for air and water temperature, rainfall, hours of sun, humidity and more. June is one of the warmest months of the year, but is also the first month of the hurricane season. National holiday with half-marathon, cycle racing, and a colourful parade.